Family, dancing and middle grades education: these are a few of Julia Hnatt’s favorite things. 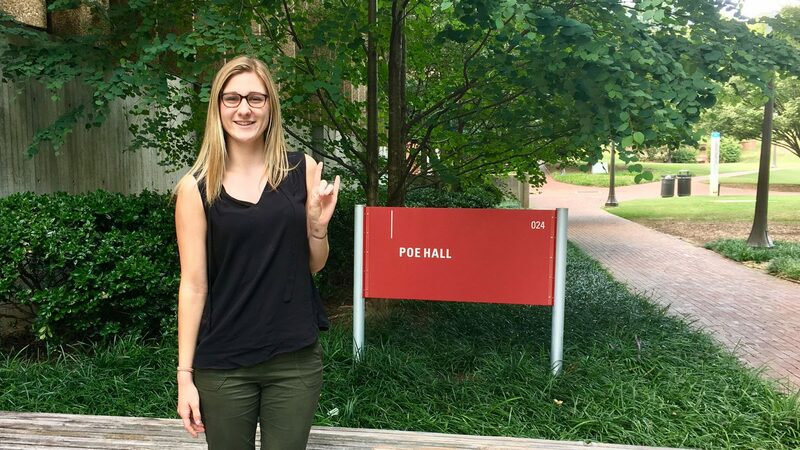 Get to know this NC State College of Education senior who’s preparing to student teach at Apex Middle School. I started out in the First-Year College program, but I went to an event where I talked to a representative from the College of Education’s Middle Grades Education program and she just sold me on it. She told me how middle grades education is a smaller field and not as many people want to go into it, but that middle school students are a great age to teach. They want a teeny bit of independence, but they also crave support from their teachers. Between this conversation and the fact that I taught dance classes when I was in high school and enjoyed that experience, I decided to apply to the program. Thankfully, I was accepted and I’ve loved it ever since. I think witnessing a student’s growth over time is incredible. My parents joke with me now and say, “How did you not know you were supposed to be a teacher?” For some reason, it just didn’t click with me until I came here to the College. Tell us about a challenge you’ve experienced. Sometimes I struggle with comparing myself to others. There are so many amazing people in this program, so it can be hard not to look at the others and doubt myself. But I realize that just because I might not be at the same level as someone else, it doesn’t mean that I can’t work hard and get to that level, too. It’s something I’ve been working really hard on, and I think I’m getting better about shifting my mindset and using it to drive me forward. My mom inspires me. She is a preschool teacher, and I love going with her to work because she has the most amazing energy. Every time I see my mom in the classroom, I think about how I want to be a teacher just like her. The kids love her, the parents love her, she cares so much about her students, and I just want to be like her. Being a teacher definitely runs in the family. Tell us about a memory you have of your past four years in the College of Education. Last year we did a partnership at Centennial Middle School, and we worked with a class of 6th graders on poetry. We were each given one student to work with. My student was awesome and I loved working with her. This year we’re doing a similar partnership with a group of 7th graders, and although the lessons are different, some of the same students from last year are in this group — including my student. On the first day this year she came up to me and told me, “Thank you so much for teaching me about poetry last year. 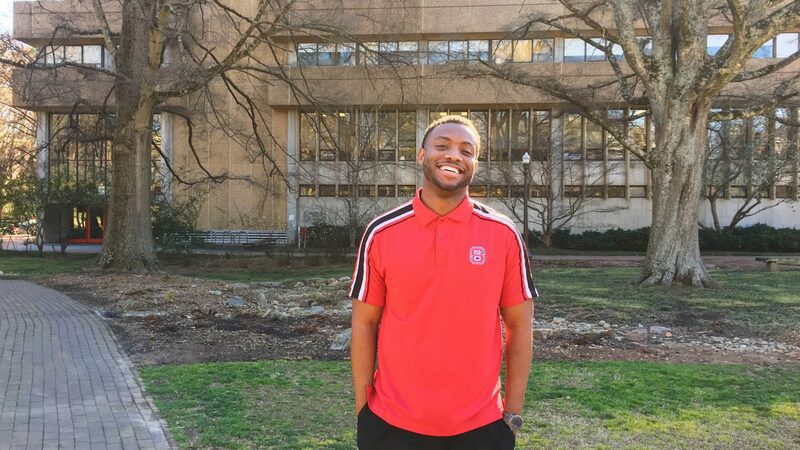 I didn’t even know I loved poetry, but now I’m reading it all the time.” For me, that was the moment that made me realize why I’m pursuing education. It was the best feeling in the world. I definitely still want to be teaching! I love this area, so ideally I’d still be teaching at a middle school in Raleigh or Apex. I love teaching, and it’s all I want to do.